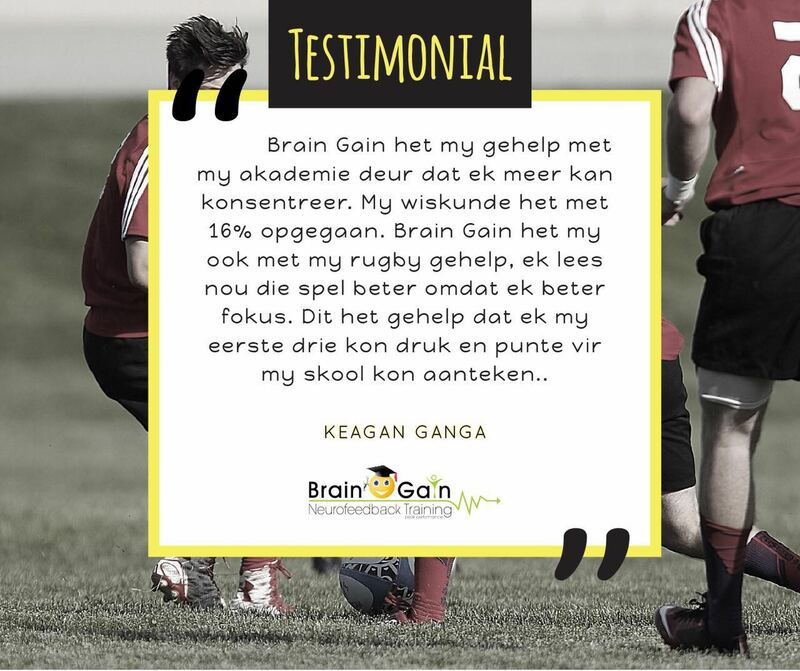 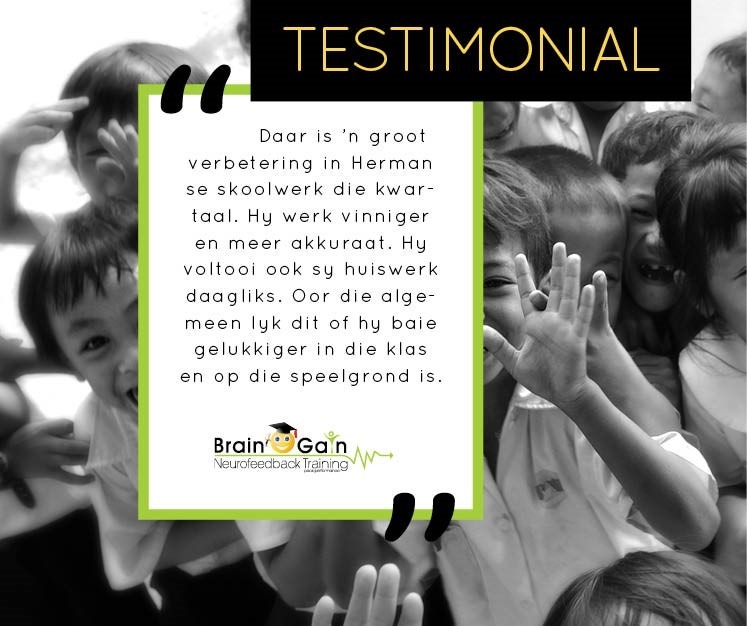 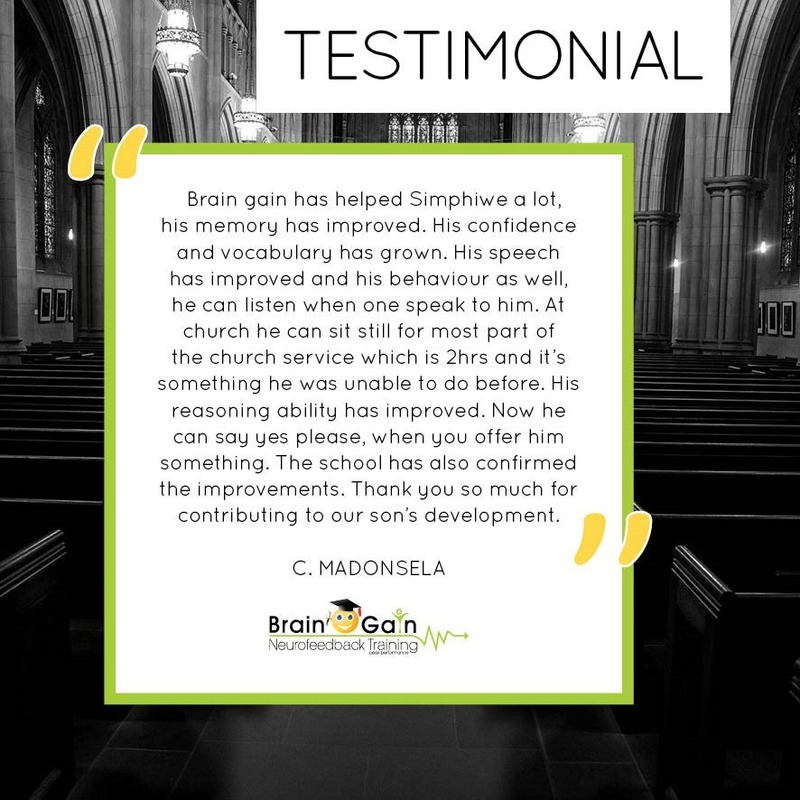 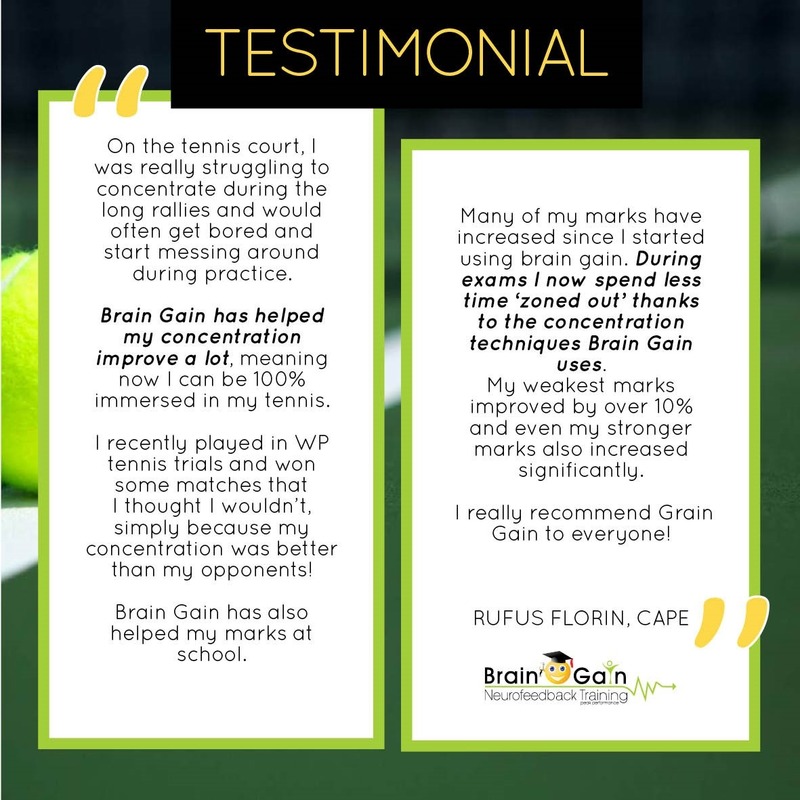 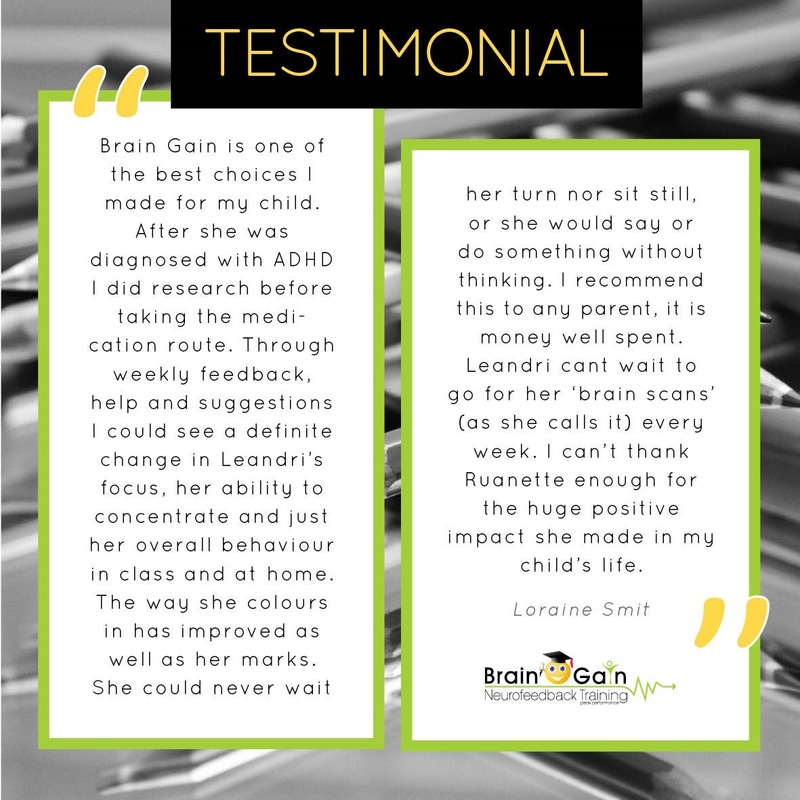 "BIG Thank You to Brain Gain..." "..recommend the process to anyone..." "...I can confidently say IT WORKS..."
I signed my 5 year old son up with Brain Gain as we realised his ability to focus and manage his impulses has become a challenge both at home and school. 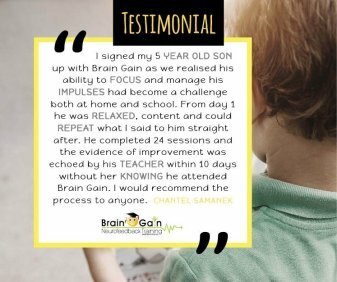 Although many say that those are the normal traits of a 5 year old, I wanted him to have the ‘tools’ to increase his ability to focus faster and manage his impulses when it matters. 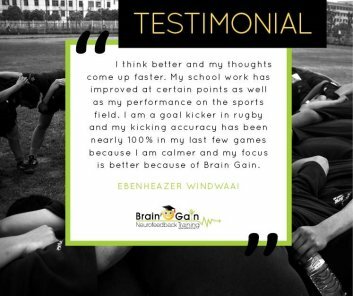 I knew the training worked from day 1, as he was relaxed, content and could repeat what I said to him straight after. 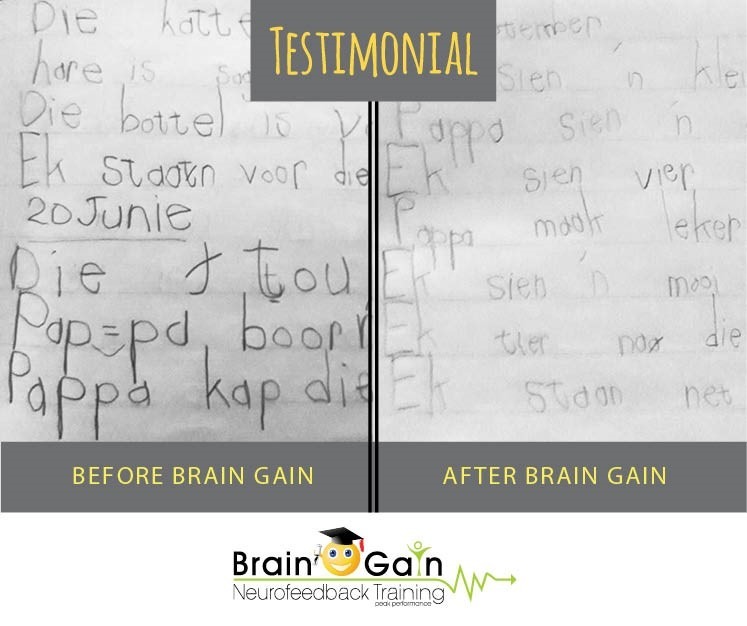 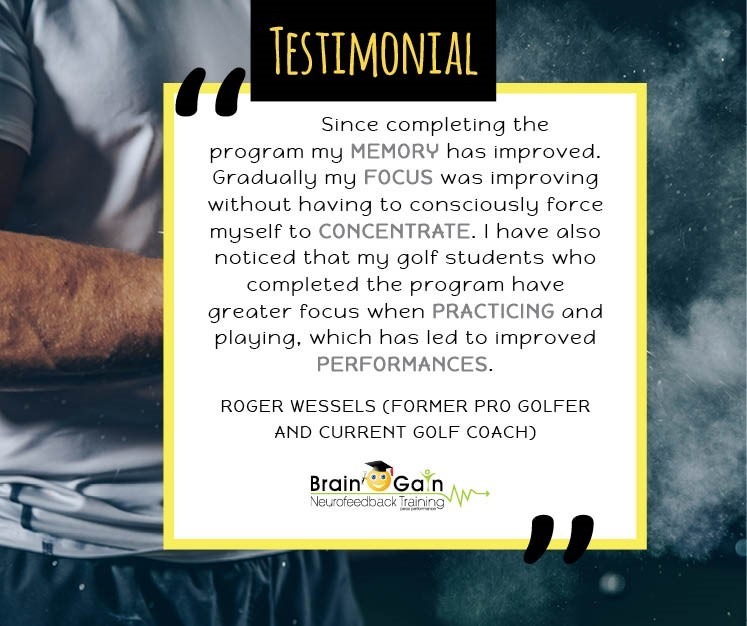 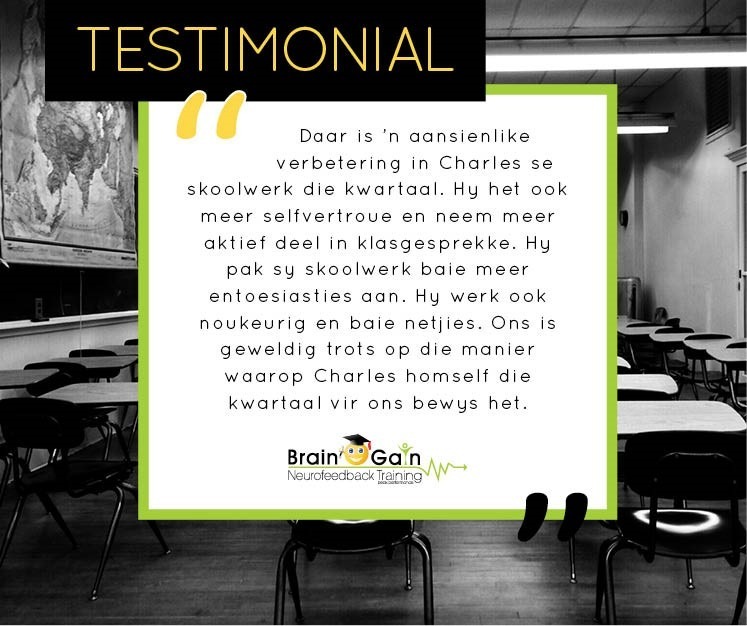 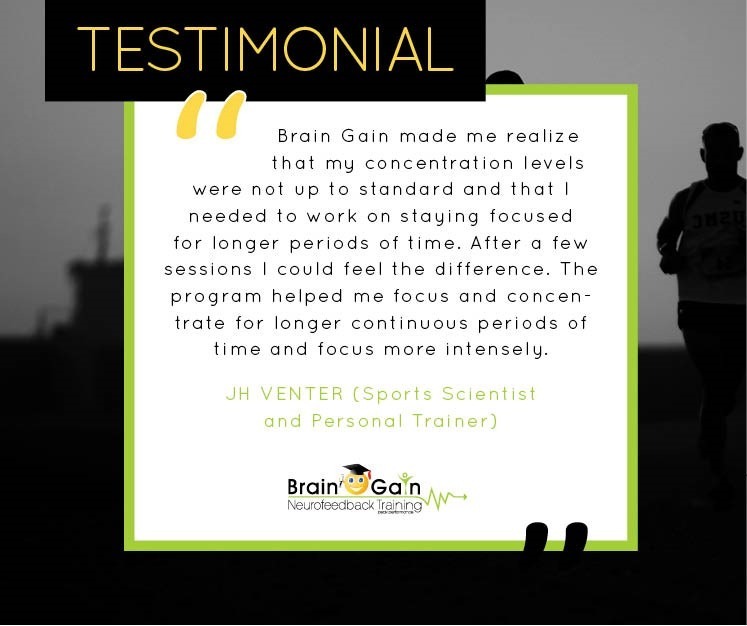 He completed 24 sessions and the evidence of improvement was echoed by his teacher within 10 days without her even knowing he attended Brain Gain. 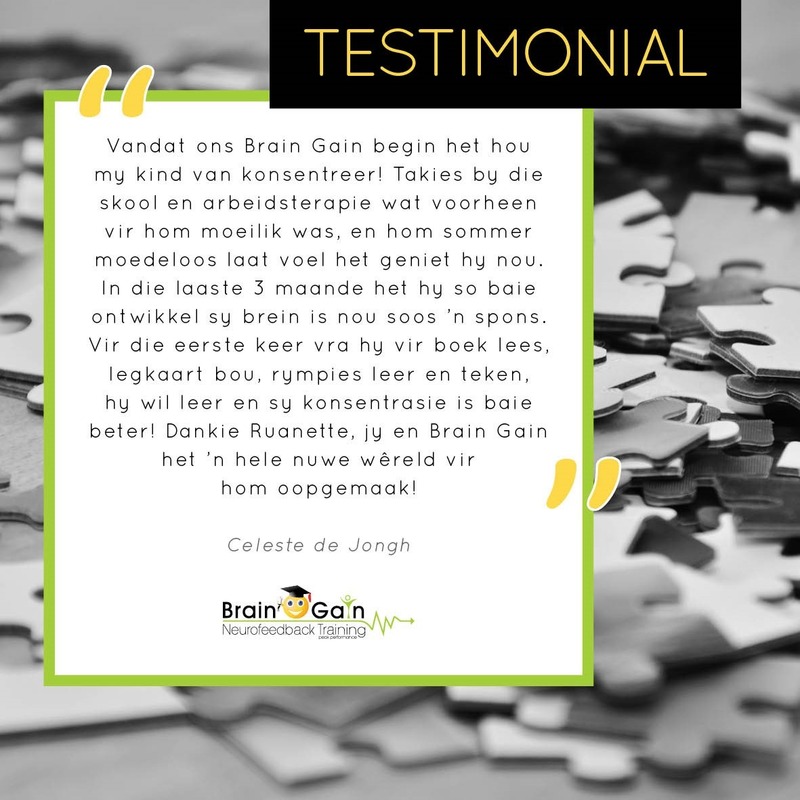 On top of that, Maureen Jacobs is the perfect facilitator; she truly cares and wants to help facilitate a lasting change. I would recommend the process to anyone.